From tranquil mountain streams and majestic scenery to thrilling attractions and exciting shows Pigeon Forge has it all. The city's attractions which we visit include the Smoky Mountain Opry, Dolly Parton's brand new dinner show, a visit to Dollywood, one of the world's most unique and beautiful settings, Patty Waszak morning show, and a tour of the Smoky Mountain National Park. We will stay at the Clarion Inn in Pigeon Forge for 3 nights. Next we are off to Nashville, the capital of Tennessee, the place where music is inspired, written, recorded, and performed. In Nashville, the music city, we stay at the beautiful Gaylord Opryland Hotel for 3 nights. 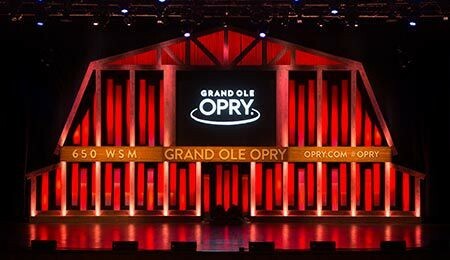 Enjoy the famous Grand Ole Opry Show live at the Ryman Auditorium, the Country Music Hall of Fame, the General Jackson Lunch Cruise, guided Tour of Nashville, Trace Adkins dinner & concert, lunch at Wildhorse Saloon, admission to Opryland Hotel's Ice Exhibit & Delta Flats Boat Ride, a visit to Studio B for a tour & group recording session, and much more. Two great cities, one great tour!